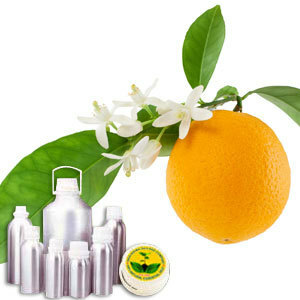 Orange Oil can be used via direct inhalation, by adding in bath water and by applying it on skin. Known for its unique therapeutic value, this aromatic oil is extracted from the peels of sweet orange. Limonene compound present in this oil helps to prevent emergence of cancer affected cells. Reckoned for its top note intense smell, Orange Oil can be combined with the essential oils of sandal wood, sage, bergamot and grapefruit to name a few.